How do I start writing for the day? Pop in my earbuds and start up a personalized playlist, of course. For every book I write, I create a playlist exclusively for the characters. For the scenes. For the feeling they have. For the emotions they share with each other. For the mood I’m trying to set. When I first decided to create playlists for each of my books, I did some research trying to find the best program to create it in, and the best program to easily share it in my blog. Spotify kept coming up, and I still love it today. Not only is it easy to create, it’s easy to find almost every song you’re thinking about, and has creative ways to find songs new to you too. Get the Spotify app. Easy peasy. In your navigation, you’ll find a button “New Playlist”. Click on it to open up a Create Playlist window. Name it based on your book – Destination Mexico City, for instance. 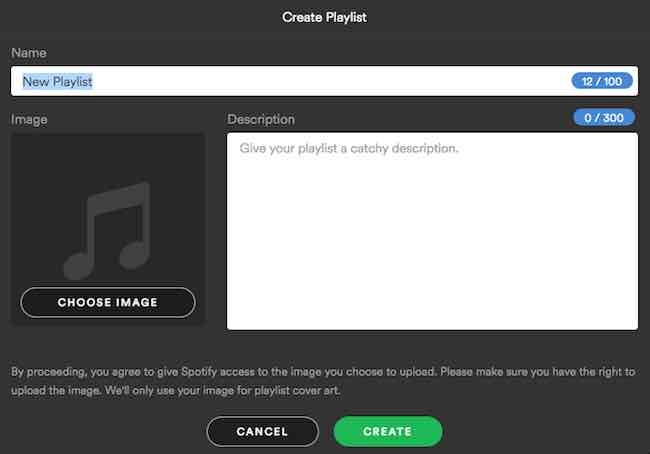 You can choose an image to represent your playlist, and add a short description to tell people a little more about what to expect from your list. Now comes the easy part. Find music you want to include and drag it from the main playing space into your playlist located in your navigation bar on the right. You can use the search bar at the top of the app to find specific songs or artists you already have in mind. Want to find more unique music? I do this in several ways. First, head to the “Discover Weekly” playlist that is created specifically for you. It’s updated every Monday to include new music based on your listening habits. You’ll find unique artists and songs you might not have heard before – I’ve found some new favorites this way. Second, click on the “browse” button under your navigation. 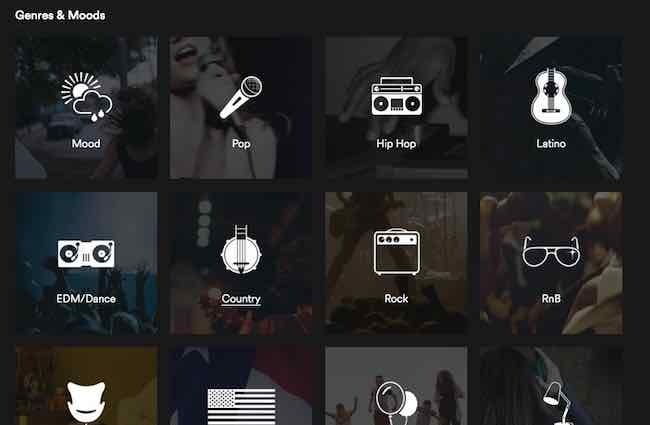 There you’ll find a wide variety of playlists to select from. One of my favorite sections is under “Genres and Moods”. Click on the type of music you’re interested in. For my Destination Mexico City, I found new songs under the Latino lists that offered music to fit perfectly with my ideas. I love the Romance lists and have found old and new songs that have become favorites. Then, once you have your playlist filled with the music you love, you can post your playlist on your blog easiely with a click of your mouse. See the little button next to the “Play” button on your playlist? Click it and you’ll be given options, such as copying the link to your playlist, or copying the embed code to drop it into your blog. Copy/paste and you’re done. 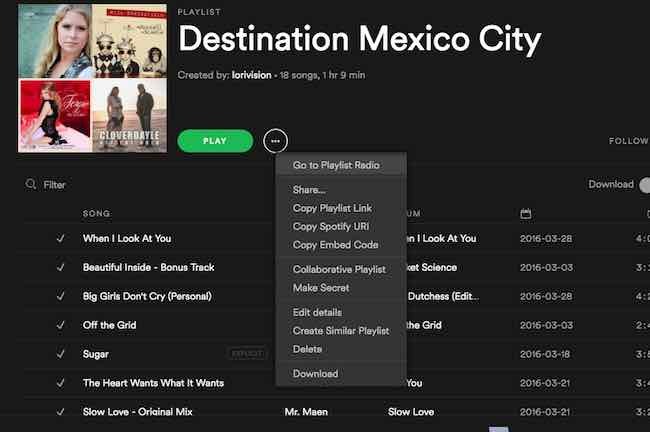 Here’s my finalized Destination Mexico City playlist. What do you think?